What Are The Rules to H.O.R.S.E. Poker? - Casino Answers! Casino Answers » Poker » HORSE » What Are The Rules to H.O.R.S.E. Poker? If you’re looking for a fun game to play with a lot of variety, or want to see how good you are at more than just one poker game, then look no further than Horse, available at Full Tilt Poker. H.O.R.S.E. stands for Holdem, Omaha 8/Better, Razz, Seven Card Stud High, Eight/Better Seven Card Stud, and is currently available in tournament and sit & go format. It is a variant game which sees you switch between all the different forms of poker throughout the session. HORSE starts with HoldEm, and after 10 minutes the game switches to Omaha 8. Every ten minutes thereafter it switches to the next game, and then repeats itself. Other variations will see this variation of poker switch on every hand. Or others will see this is switch every “round” meaning, once everyone has been both blinds in each individual game. This is a thrilling game, and only available at Full Tilt Poker. HORSE is a popular mixed game variant that many player’s feel that this is the best judge of a player’s true ability as a poker player. While one player can specialize in a particular game of poker, HORSE makes players use all the skills learned from all the different games. It is an officially recognized game and has been played in the WCOOP, the World Championship of Online Poker. When it is time to switch games, the button is frozen so that nobody ends up paying extra blinds or skipping a blind. The game just moves on as if you had been playing the new game all along. All the component games of HORSE will be played at fixed limit meaning that the limits are kept the same throughout the rotation of the game (unless it’s a tournament in which the blinds will raise periodically). There are no pot limit or no limit forms of HORSE which adds to the skill level needed to be good at this game. The game of HORSE can be a great way to to learn how to play multiple variations of poker. A lot of players are only good at Hold’Em, but would love to learn how to play Omaha or Razz. This can be a great way to play it for the first time while still maintaining a level of comfort. You can even find Free Play versions of HORSE at Pokerstars that allow you to get a feel for this game without risking some real money. That will allow you to better learn this game before you delve in and play at a higher limit. 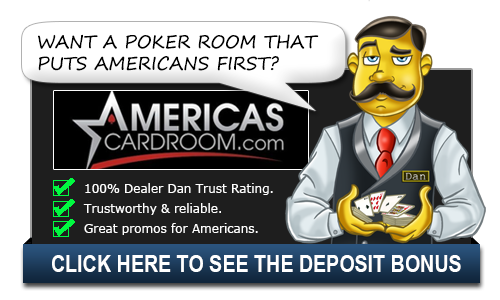 Can USA players play HORSE at an online poker room? Yes, American players are welcome to play HORSE online for real money. If you are located within the United States, you can play HORSE at Full Tilt Poker.